An extremely rational interior décor contributes to the strong emotional impact that marks her outlook. 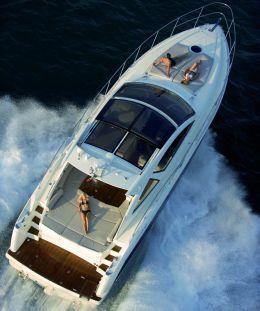 The Atlantis 50 was successfully presented at the latest Cannes Boatshow. She is the most recent yacht born from the collaboration between Architect Carlo Galeazzi and the outstanding Design and Product Development office of the Piacenza-based shipyard. 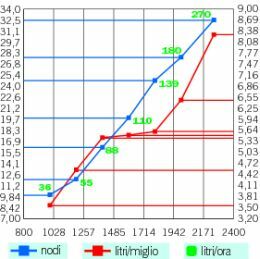 Already at first glance, one easily understands how the hull is the result of scrupulous design research that - one discovers immediately - takes advantage, in a practical way, of some important technologies. 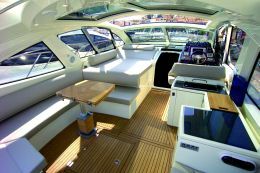 First of all, the one used for the silencing and good functioning of the elegant hard top and side windows sliding system - a special feature of the superstructure of a low and rakish hull with a pleasant offshore line. Actually, much of the design philosophy of this model revolves around this area that can hardly be defined as decidedly internal or external, since it may be easily adapted to the needs of the moment. 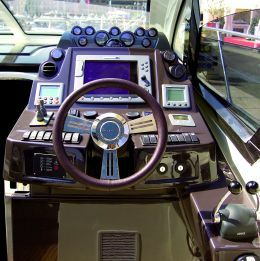 The cockpit layout in itself, with a central U-shaped dining area and a fully-fitted galley, suggests a greater use than is the norm on boats of the same size. The same thing may be said of interiors, where a guessed choice of mixed colors serves as background to an extremely rational décor, with an almost minimalist style, offering a general strong emotional impact. Everything revolves around the salon with its elegant galley where the six passengers may live the most "convivial" moments on board. 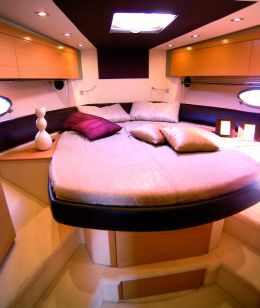 Instead, private comfort is offered by the three cabins with capacious storing space. 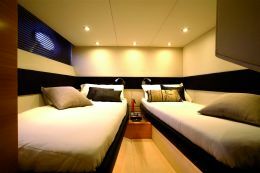 If the Owner's stateroom is duly privileged, the port cabin amidships does not pale at all: with its size and the double bed, it may be considered a VIP cabin. The other guest cabin, slightly smaller, is ideal for two youngsters. At sea, comfort is guaranteed by the smooth lines of the hull that with its 16°deadrise aft offers a smooth ride through the waves and at the end of the turn slightly rolls thus facilitating passengers' balance. 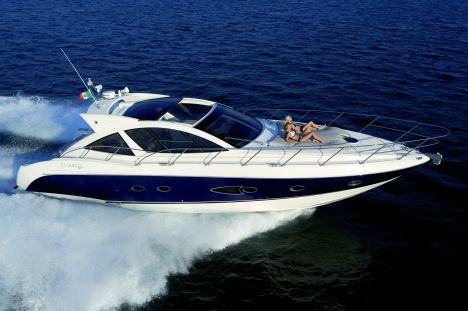 Price with standard equipment and test boat power: Euro 697,000.00 + VAT, ex yard. Characteristics of the aft platform: integrated, non-skid teak inlay. Layout and characteristics: the salon with an L-shaped sofa, to starboard, is slightly below cockpit level; opposite there is the ample galley. On port side, there is the guest head with access from the saloon. It includes a shower stall. 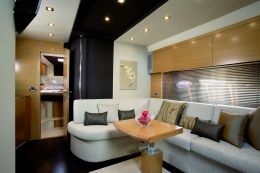 Aft, on port side there is the double cabin with bed along the bulwark and on starboard side the twin bed cabin. Forward, there is the Owner's stateroom with central double bed and en suite head with shower stall. Recommended optional fittings: 350 kg hydraulic gangway/davit, air conditioning system. Electrical switchboard and plants: first-rate. A couple of watertight 12V cigarette lighter sockets are missing on the dashboard but they may be easily added.